THE STORY - Recently separated from her husband, Alice Kinney decides to start over by moving back to Los Angeles with her two daughters. While celebrating her 40th birthday, Alice meets Harry, George and Teddy, three young filmmakers who need a place to live. Complications soon arise when she agrees to let the men stay in her guesthouse temporarily. As Alice develops a budding romance with Harry, her newfound happiness comes crashing down when her ex shows up with a suitcase in his hand. THE GOOD - Reese Witherspoon does her best with what she's given. THE BAD - A silly premise, terrible production value, and poorly used actors make this a waste of time. ​There's a great value in a good rom-com. Sometimes it's enough for a film to just be about pretty people falling in love. Silly jokes, stolen glances, the orchestra swelling to the climactic kiss; some great movies are made even within the well-worn formula. However, with bland production values, an odd story, and good actors wasted, "Home Again," is not one of those movies. We're in the middle of Reese Witherspoon's triumphant return (Reesiassiance? Reesesurgence?) after a few years of quality projects like "Wild" and this year's fantastic "Big Little Lies," but she is utterly wasted in "Home Again." 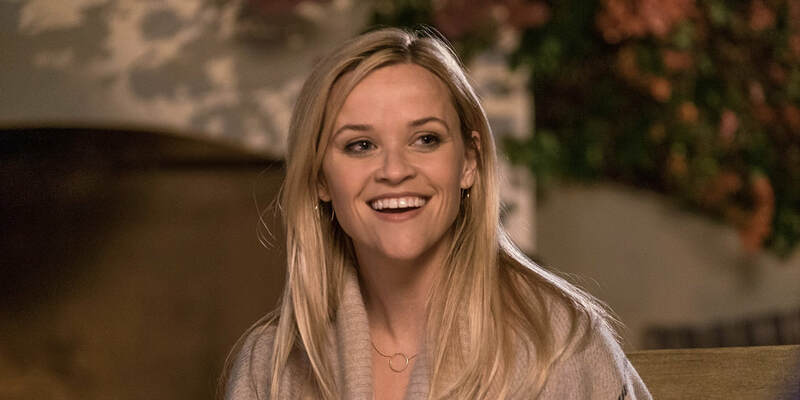 Written and directed by Hallie Meyers-Shyer, daughter of famed rom-com director Nancy Meyers, "Home Again" stars Witherspoon as Alice Kinney, a single mom who recently moved back to L.A., escaping her marital problems with pretentious music producer Austen (Michael Sheen). The film opens with narration from Alice describing her famous filmmaker father, a fact that doesn't really impact the rest of the plot, outside of giving her a huge beautiful house. Despite this lavish lifestyle free of charge, Alice attempts (And struggles) to begin a new career as an interior designer. We're supposed to feel for her, I suppose, although she tells us herself at the beginning that this is something like her tenth attempt at a career. Before long, Alice meets three young aspiring filmmakers in a bar. She decides to hook up with the one she has the least chemistry with, Harry (Pico Alexander). There is never a good moment between these two, as their relationship feels forced and awkward, though we're supposed to feel the undeniable heat between them. Before long, for reasons too unimportant to recap, she allows the guys to crash at her place for a few weeks. Teddy and George (Played by Nat Wolff and Jon Rudnitsky respectively) are pretty likable characters, though they're given little interesting to actually do here. One might expect these young twenty-somethings crashing in the house of a single mother might result in crazy party-like hijinks of some sort. Instead, these guys are weirdly saint-like. They're perfect houseguests, helping out with her daughters, cooking breakfast and more. There is no real conflict or struggle here, except for the pretend sexual tension between Alice and Harry. I can't stress how little there is to care about with this romance. There's even less to care about with the developing career of the filmmakers, who think they're too good to make any changes to their script in order to get funding. And these are the decisions we're supposed to root for. With such poor story choices, what are we left with? The actors do what they can, but everything else about the production value feels shocking second-rate. With flat, boring cinematography and strange editing choices, the film feels surprisingly amateurish. Romantic comedies aren't necessarily known for their impressive visuals, but "Home Again" looked barely more polished than a student film. It was consistently distracting. In a year that saw Witherspoon in such a real and raw role in "Big Little Lies," it's odd to see her in such sterile and uninteresting context. A film that's not romantic enough for you to care, and not funny enough to make you laugh, "Home Again" barely qualifies as a rom-com. This is a movie that, while inoffensive, isn't worth your time.